`Brilliant. A practical plan to eradicate world poverty' Observer Would you walk past a drowning child? This is a book that will change the way you think about giving. It shows what you can do, as an individual, about the fact that more than a billion people are living in extreme poverty. It argues for an urgent change in our culture, and it invites you to play your part. The complexities of the aid debate are well rehearsed; the phrase `charity begins at home' is all too familiar; the sheer scale of the task is overwhelming. But Singer, who has been writing for more than three decades about how we should respond to hunger and poverty, suggests that anything other than urgent and direct action is tantamount to walking by. If enough people regularly give a small amount, he says, we can together make a significant difference. Find out about the life you can save. Is it Wrong not to Help? Why Don't We Give More? How Much Does it Cost to Save a Life, and How Can you Tell Which Charities do it Best? 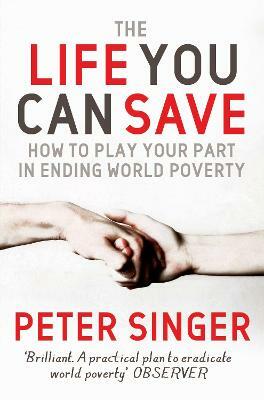 Named by Time magazine as 'one of the 100 most influential people in the world', Peter Singer has been writing on the subject of poverty for over three decades. As a philosopher he has published on a wide-range of topics, and is until now best known for Animal Liberation, widely considered to be the founding statement of the animal-rights movement. He divides his time between Priceton, where he teaches, and Melbourne.